Buy Online Now! 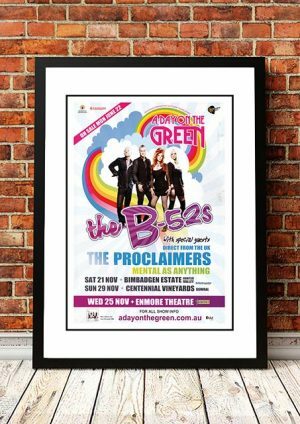 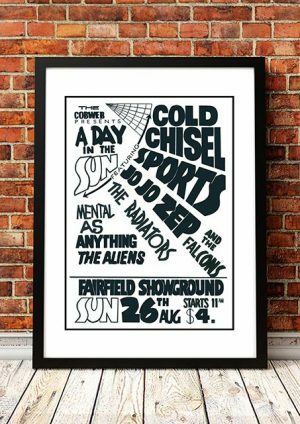 – Classic Mental As Anything Concert Posters and Memorabilia. 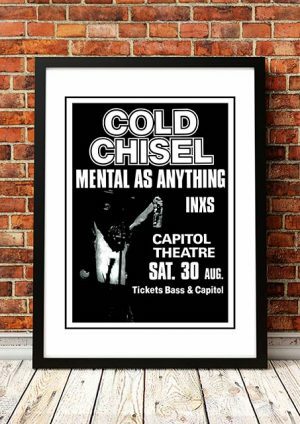 Formed on a whim by a group of bored art students in search of free drinks, Australia’s prankish Mental as Anything went on to forge a career spanning several decades, their tongues remaining planted firmly in cheek throughout the duration of their existence. 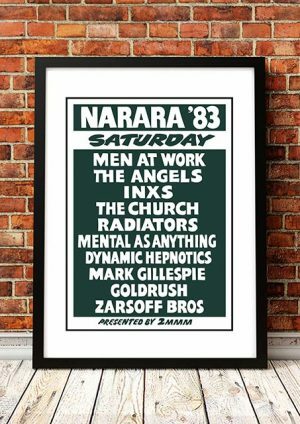 Debuting in 1978, the Sydney-based group included singer/guitarist Reg Mombasa (born Chris O’Doherty), his bassist brother Peter O’Doherty, lead guitarist Martin Plaza, keyboardist Andrew “Greedy” Smith, and drummer Wayne Delisle. 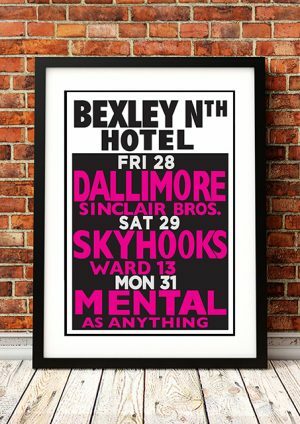 Their first gig was held at a nearby hotel, with a pool table serving as a makeshift stage. 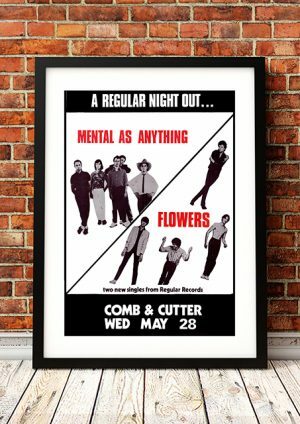 Their early shows proved surprisingly successful, and soon Mental as Anything had earned enough of a cult following to record a single, 1979’s “The Nips Are Getting Bigger”; it was a Top 20 hit down under, and when their debut LP, Get Wet, achieved similar success, the group was off and running. 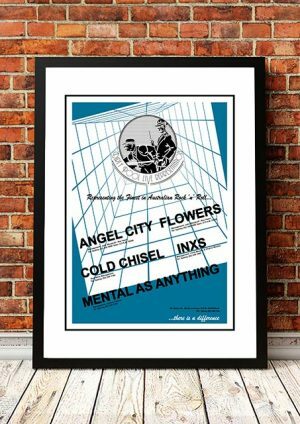 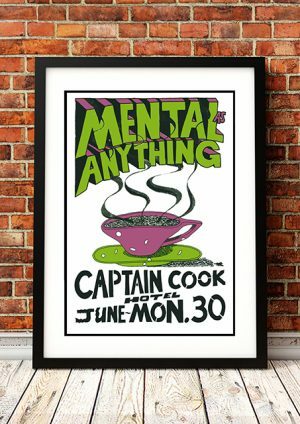 We stock some awesome Mental As Anything prints.